Is One Paracetamol Ever Effective For Pain Relief? Because regular pain killers are purchased from places like the supermarket, many people assume that they are, for the most part, harmless. Only have a mild headache? Only take one. Bad period pain? Three must be better than two. Although this way of thinking is not only irresponsible, it’s likely ineffective. 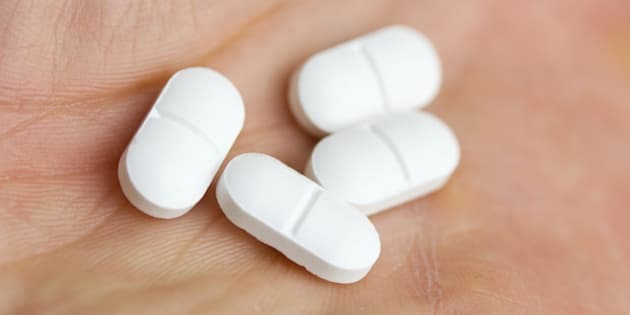 “For the average 70kg person I would suggest that it's almost a placebo to take one 500mg tablet of paracetamol,” Dr Desmond Williams, Program Director, Pharmaceutical Science at the University of South Australia told The Huffington Post Australia. Dr Williams’ point about a person of average body weight is key here. For someone smaller, a half dose may be effective. And on the flip side, if you're in a decent amount of pain don’t assume that you can just up the recommended dose to handle it. “Thinking ‘I am in a lot of pain so I will take three or four’ is certainly not the way to go about pain management. Paracetamol is a very well tolerated drug, but that is if no more than 4 grams is taken per day. So by taking 1.5 the recommended dose, (or 1500mg in a single dose) in a day, that's going up to 6 grams per day. That's classified as an overdose. Chronic dosing at that level would not be a good idea,” Dr Williams said. If you are not sure, check with your local chemist. “Certainly a pharmacist is qualified to go through the process with you. There's always the potential for some underlying condition, and in that case a medical practitioner would be better served to go through and do a history/physical examination to determine what the underlying pathology is,” Dr Williams said. Another word of warning -- always check if your pain killers are the regular variety, or a special variant. Lastly, but very importantly, it’s worth noting that crushing (which if often done with elderly patients or those who can't swallow) some of these specialty pain killers can affect their efficacy. “Crushing the extended release tablets would convert them from a sustain release to a rapid release product. So, rather than getting 650 milligrams over an extend time, intended to last up to eight hours, the patient would be getting 1.3 grams [two tablets] that will all be released in one lot, so will definitely not last anywhere near the intention,” Dr Williams said. The take home advice is to always follow the instructions.